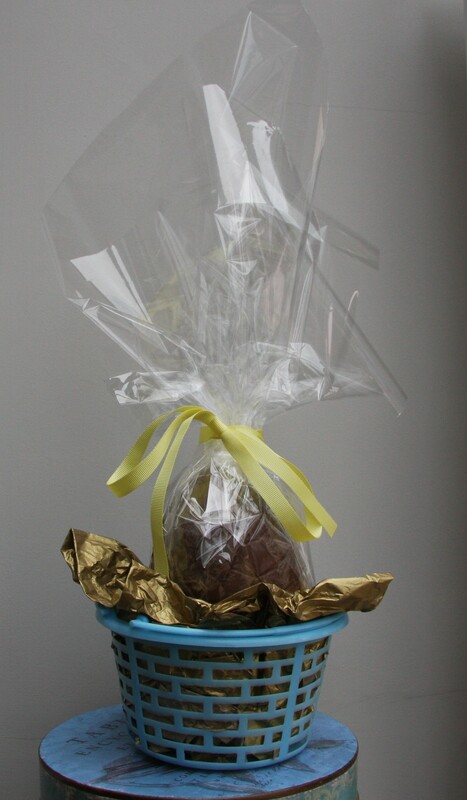 One of the joys of Easter is a chocolate Easter Egg (or two). 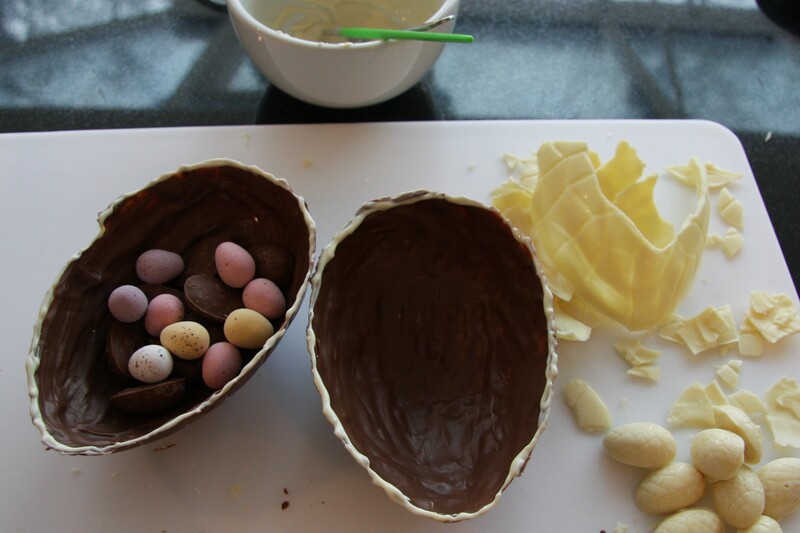 Last year I made my kids their Easter Eggs and I thought I would take what I had learnt from that experience and make some brilliant ones this year. I have two kids but there is only one Easter egg in the photo: there’s a reason for that! I knew the right way to go about them this year. 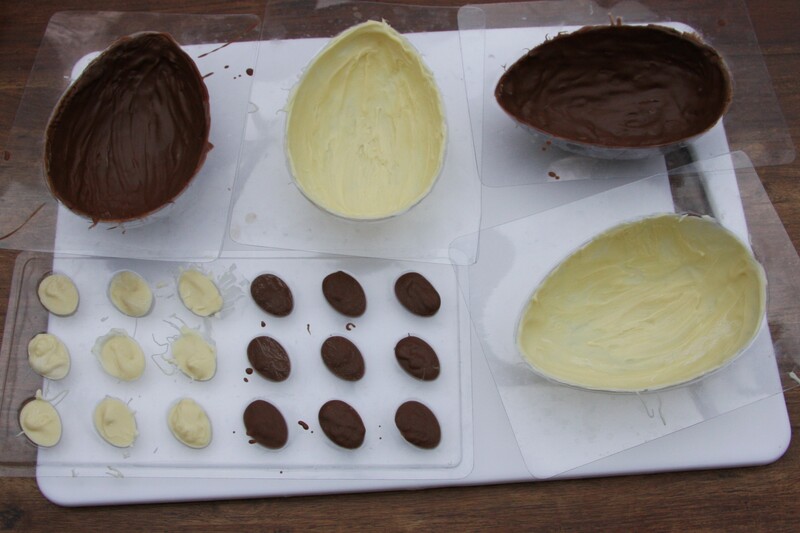 One great tip is to use a paintbrush to brush the melted chocolate up the sides of the mould as it keeps trying to slide back down to the bottom. It’s a good idea to let one layer dry and then do the next one, building up a shell with sides of an even thickness. 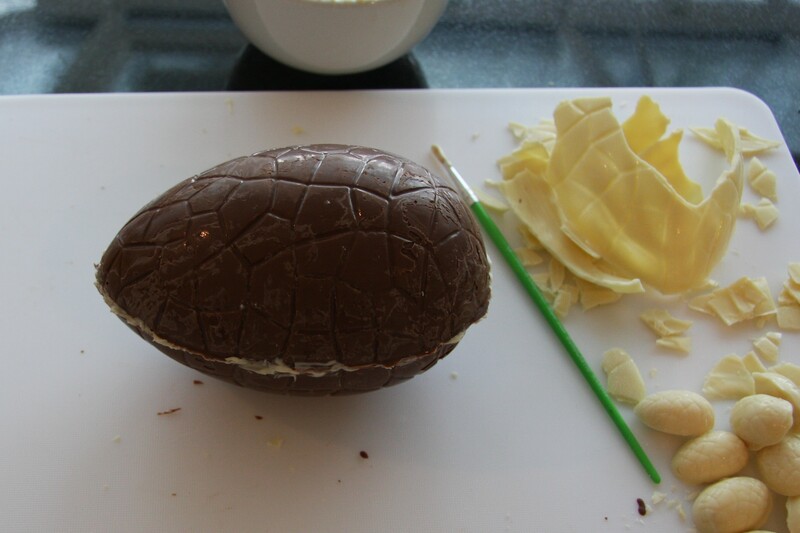 Obviously if you haven’t accidentally eaten all the remaining chocolate and can use the same type, the join will be hardly noticeable. 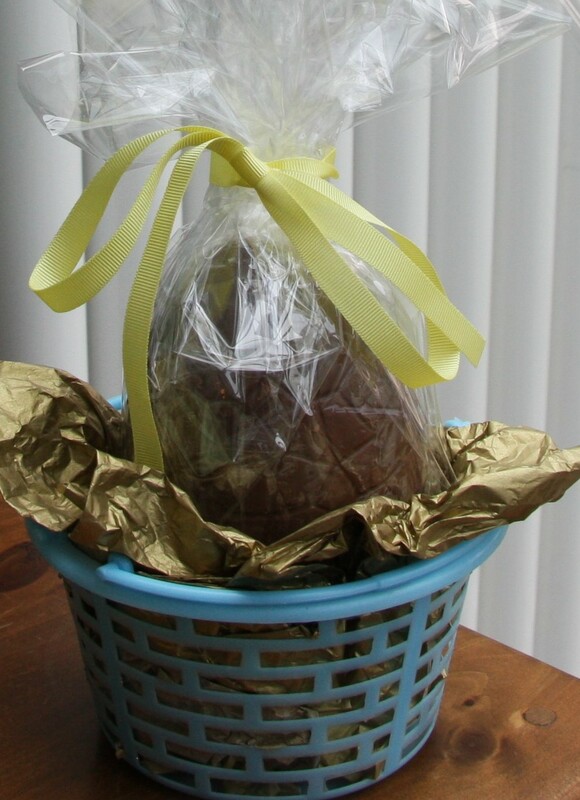 So not entirely the brilliant Easter Egg I had envisaged but luckily, with the addition of some tissue paper, cellophane and a ribbon, it looks a lot more impressive! My goodness, this just takes the words “lovingly homemade” to another level. Yum! These are really cool! 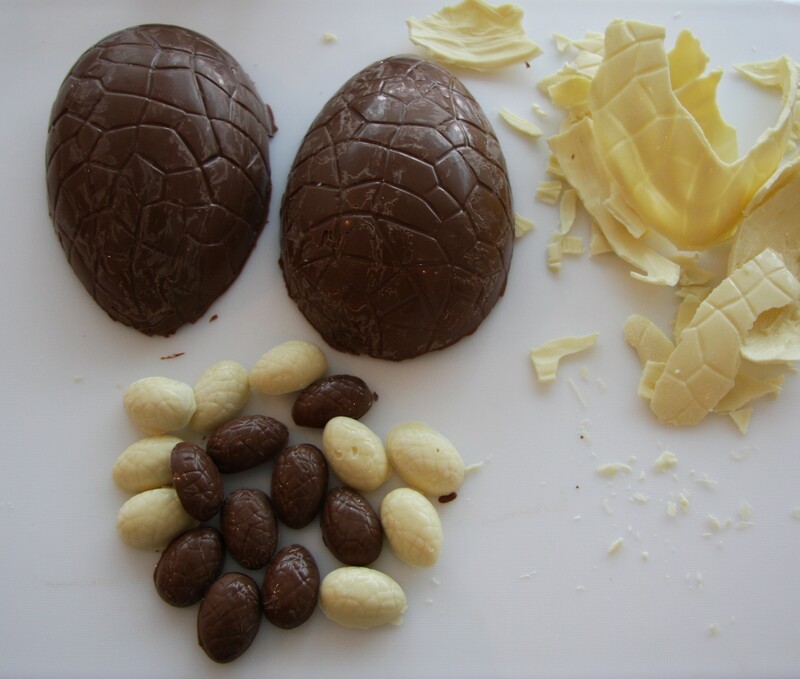 I think I need some more practice before next Easter so will have to find something to make before then! I make d same way.